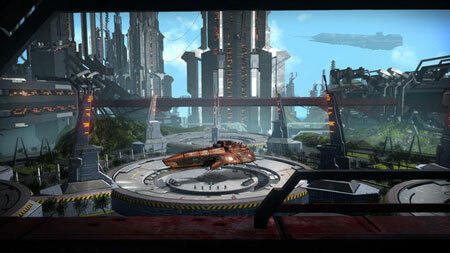 Starpoint Gemini Warlords is a 3rd person spaceship combat strategy and RPG from Little Green Men Games. Build mighty war fleets and send them into battle or lead them into combat yourself. Become the Warlord and conquer the Gemini system. Construct ships and assemble your mighty war fleets to pitch them against the other war-mongering factions of Gemini, but be mindful of the situation you’re sending them into. A seemingly weaker fleet can be accompanied by warmasters, well-trained specialists that can sway the battle in their favor, but fear not, you can have your fleet follow you so you can lead them to victory. Begin your adventure on a small, agile gunship and work your way up to a massive carrier class capable of deploying numerous fighter wings. Upgrade your chosen vessel of destruction with a plethora of weapons and enhancements. And to finish it all off, throw a coat of paint on it to get that perfect vessel you always wanted. If you get stuck in the game, check out the video walkthrough and gameplay for the game. This entry was posted in PC Games, Walkthrough and tagged Starpoint Gemini Warlords Cheats, Starpoint Gemini Warlords Game, Starpoint Gemini Warlords Gameplay, Starpoint Gemini Warlords Guide, Starpoint Gemini Warlords Hints, Starpoint Gemini Warlords Review, Starpoint Gemini Warlords Solutions, Starpoint Gemini Warlords Strategy, Starpoint Gemini Warlords Tips, Starpoint Gemini Warlords Walkthrough by Marvin. Bookmark the permalink.